Parenting is becoming a great challenge in our communities, and homes in recent times. Many parents are gradually giving up their responsibilities to gadgets (cellphone, television), rather than taking time for home training. Some young parents are confused because they seem not to have any reasonable knowledge of parenting to offer their children. It takes God’s divine wisdom and patience to raise awesome children. 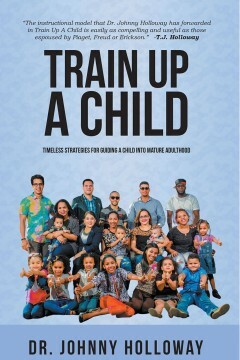 This book “Parenting and Educating with Wisdom,” addresses different things and strategies parents can apply to help support their children. This book also encourages the use of prayers, and sharing of quality times as tools to help build up children. 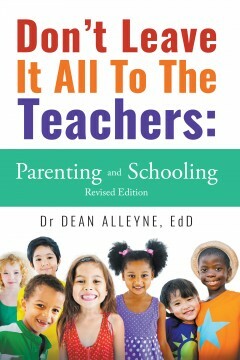 In this book, every parent will find some useful hints that will aid their effective parenting. This book is intended for every reader to find hints that will help to build, heal, or restore his or her home. It also challenges all parents to arise and evaluate themselves in their parenting styles and adjust their negativities to please the Lord. May you be victorious, successful, and fully accomplished in your parental responsibilities! 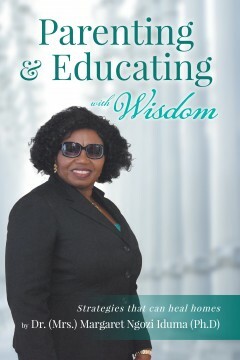 Dr. (Mrs.) Margaret Ngozi Iduma (Ph.D) is an educator with passion. She has a Master degree in Reading, and Educational Specialist in Curriculum and Instruction from Wayne State University. She also earned her Ph.D in Christian Counseling from Christian Leadership University. She aspires in constructing curriculum that will help both parents and educators to train and teach our children better. She is very passionate in prayers, educating, dancing, and parenting. She is very vibrant and welcoming. She draws from her life experiences to encourage both parents and children to be good citizens. As a wife, mother, grandmother, and an educator, she has raised successful grown up young men, and has a growing desire to raise more respectful, and God fearing children. She has been an educator in different school settings – college, public school, and charter school. She is so passionate in her calling as an educator. Unfortunately, many parents feel compelled to raise their children in the same way they were raised, despite the fact that the world is very different than it was when they were children. As a result they may be destined to repeat mistakes their parents made and they risk failing to give their children valuable tools they may need to succeed. Even if you grew up in a loving home, you can improve upon the way you were raised and give your children the tools they need to navigate life’s toughest challenges.